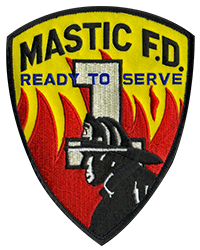 You can contact Mastic Fire Department by using the online contact form on this page. You can also connect with us on Facebook, Twitter, and Instagram. Before contacting us, please read our Frequently Asked Questions page for answers to the most commonly asked questions about fire safety, emergencies, and general questions about our fire department. For fire emergencies, you should ALWAYS call 9-1-1 immediately.